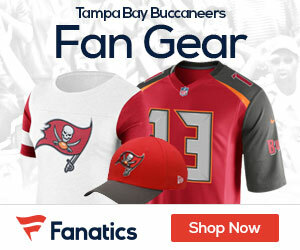 The Buccaneers are closing in on a sellout for their Monday Night Football game against the Colts. On Tuesday, the club announced that 2,000 tickets remain available, which must be sold by 8:30pm ET on Friday to lift the local television blackout. The last 14 Buccaneers home games have not been shown on local television, but an improved product may be luring fans back to Raymond James Stadium. Despite possessing the youngest roster in the NFL, the Buccaneers are coming off a 10-6 record in 2010 and have won back-to-back games to start the 2011 season at 2-1. In addition to Monday night’s game against the Colts, the Buccaneers will host the Dallas Cowboys in a prime time game on the NFL Network on Saturday, December 17.